A reverse mortgage is pretty much exactly what you think it is, a regular mortgage but in reverse. So as in a regular mortgage, the buyer wants a house and gets a loan to cover the expense and they pay it back monthly. In "reverse", the buyer owns the house either almost paid off or completely. With a reverse mortgage, they can chose a monthly payment option in which they receive a fixed, monthly payment from the bank and essentially this is until either they move out or death. It should be considered supplemental income. and must also meet financial eligibility criteria as established by HUD. Can you get a reverse mortgage if you have a lein on your house? Some caveats, when an application for a reverse mortgage is processed, the lender will immediately order a title search. 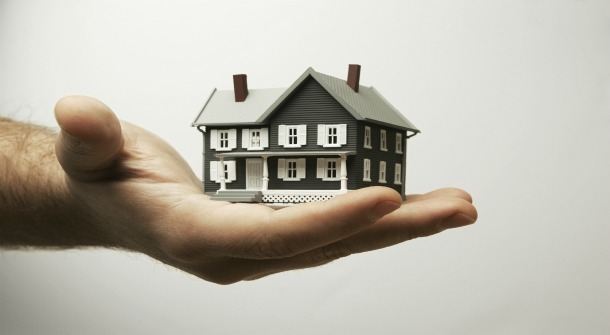 Any tax liens will be uncovered by the title company and reported to the lender. The lender will then require that you pay off the tax lien with the proceeds from the reverse mortgage at the closing. This applies for all loans which are secured by the residence, which includes mortgages, home equity loans and lines of credit. Why? a reverse mortgage is a HUD/FHA mortgage and this is an FHA Requirement. Can you get out of a reverse mortgage? Due to the fact that there are so many variables and implications to seniors who chose this option, we recommend professional advice. You need financial and legal advice to understand those consequences and if they are acceptable to you because once you sign on the dotted line it is very difficult to recover from the financial damage including hidden fees and interest that can use up a substantial portion of a homeowner's equity. What happens to a reverse mortgage after death? Your heirs will only inherit the home itself if the reverse mortgage balance can be paid off without selling the property. To accomplish that, your heirs would have to pay off the balance with cash from the estate or another source or take out a new loan. The more likely outcome is that your heirs will inherit whatever equity is left after the home is sold and the lender repaid. What is the Trump administrations stance on reverse mortgages? Interestingly, The Trump administration’s proposed 2018 budget for the Department of Housing and Urban Development would eliminate the cap on the number of reverse mortgage loans. “This change supports the significant improvements that have been made to the program to reduce risk to the MMI Fund and to ensure responsible lending to seniors,” a HUD release explaining the move reads. Celebreties who endorse reverse mortgages: Robert Wagner (82), Pat Boone (77), Alex Trebek (71), former Senator Fred Thompson (69) and Henry Winkler (66) have promoted people 62 and older how they can receive loans on the equity in their homes that do not have to be repaid until they die or move. See New York Times Article.